OOur new Otter Sleds are the affordable answer for your winter hauling needs. 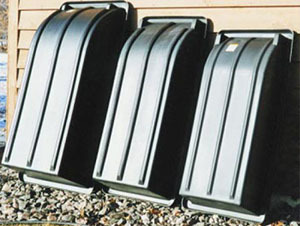 Constructed of tough, heavy-duty polyethylene plastic, these sleds are the ideal solution for winter work or play. These are not your run-of-the-mill, light-weight toys–but rugged, hardworking sleds that can stand up to your toughest chores. The all poly construction offers a very easy pull, while maintaining excellent flotation in soft snow. Built-In runners offer superior stability and tracking on hard-packed surfaces. The Sled is very useful in hauling your feeds, hay bales, bottles, and newborn calves out to their Nurseries*. It also works great for hauling your ice fishing supplies and equipment.